Military members serving active duty or in the reserves can get a 15 percent discount on registration for the Marine Corps Marathon. If you currently serve in the military and plan on running in the 41st Marine Corps Marathon, you can receive a registration discount starting tomorrow. GEICO, a partner of the MCM, will offer a 15 percent registration discount for all active duty members and reserves. Discounted registration opens at noon on March 2, but spots are limited. Full registration costs $135 and lottery registration for the general public will be March 24 through 30. 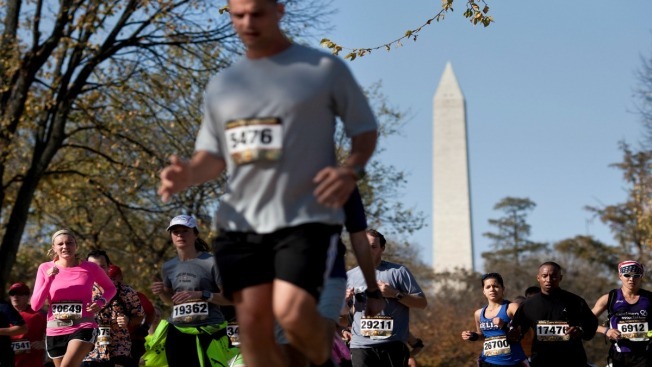 The Marine Corps Marathon will be held on October 30 in Arlington, Virginia. To register for the event or learn more about the marathon, click here.